FXone – Seabury Financial Solutions has announced a new partnership with liquidity provider CitiFX TradeStream in an effort to foster algorithmic trading capabilities and maximize liquidity for institutional firms and traders, according to an FXone statement. FXone provides several options for algorithmic trading platforms to a variety of institutional firms and bank. Despite an already robust offering of liquidity providers, FXone has been steadfastly integrating new liquidity partnerships given the rampant demand in recent months – the firm was also granted FIX certification exactly a year ago as well. 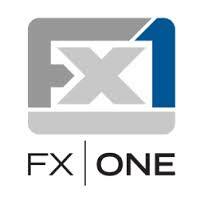 Moreover, “FXone is an excellent complement to our focus on serving systematic trading clients. It doesn’t make sense for these traders to spend valuable time and resources building their own integration with liquidity sources before deploying algorithmic trading strategies. With this turnkey offering, FXone and CitiFX Tradestream significantly reduce the time and cost required to start trading,” added Alex Knight, Head of Citi’s FX Margin Trading. Following last year’s FIX approval, FXone now provides a variety of trading solutions and low latency market access. Given that so much of the company’s business is on the institutional side, the move makes sense on a number of levels. Indeed, “In addition to delivering the easiest automated trading strategy development environment integrated with CitiFX TradeStream’s liquidity, we also extend CitiFX TradeStream’s FIX API capabilities by providing stop order types within the FXone Server, our ultra-low latency EMS, which are not natively supported. The partnership leverages the respective strengths of both offerings to deliver maximum value for clients,” Ingargiola reiterated.